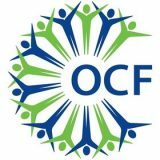 We are very grateful recipients of a generous grant from the Oxfordshire Community Foundation this year (March 2019). This grant will help us deliver our Launchpad Project, which aims to alleviate and prevent isolation and loneliness amongst people who have learning disabilities in Oxfordshire. Launchpad offers a space for young adults to meet, socialise, learn new skills and start to think about their futures and what they want to achieve as adults. Launchpad feeds into Yellow Submarine's training and employment projects, providing members with ways in which to move beyond worklessness and loneliness. We are hugely grateful for this donation, and appreciate OCF's long standing support of Yellow Submarine's work. Thankyou!